The marina at Rocky Harbour is a small sized marina that is ample for this charming town that lies along the coastline of Gros Morne National Park in Newfoundland Labrador. 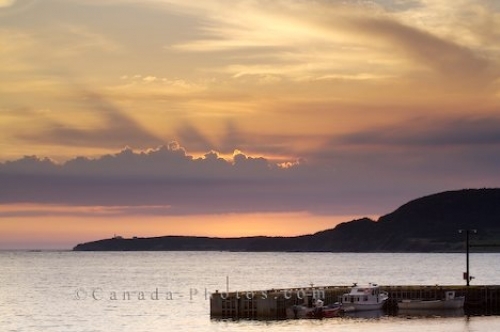 The sunset brightens the sky with soft pastel hues as the Lobster Cove Lighthouse sits on the point in the background. Picture of boats at Rocky Harbour marina in Newfoundland Labrador as the sunset glows throughout the clouds.